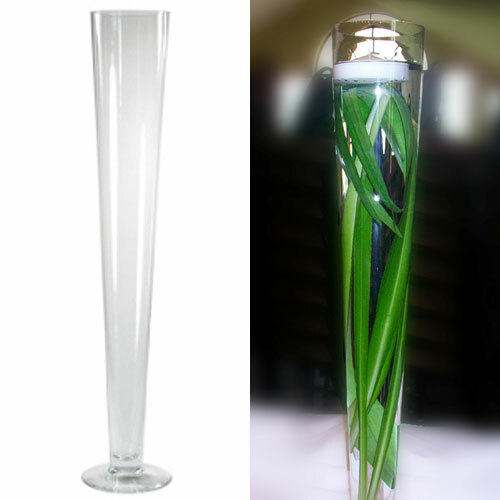 This is a beautiful vase to add to any table. Add whatever you like inside for color or added style! Rental price includes 3" white floating candle. Click here to see how one bride used the vase with some floral and our 3" floating candle. 12" x 12" glass mirrors may also be rentd for $1.00 each.